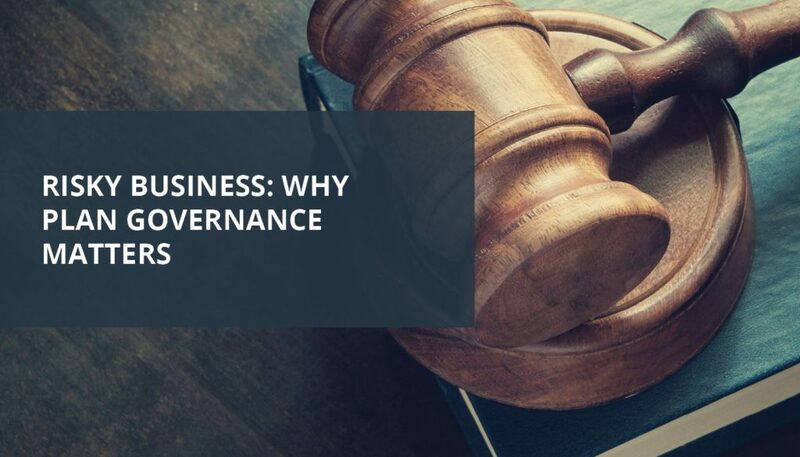 While governance programs are typically established when the plan is adopted, it’s never too late to develop or update governance procedures. Keep in mind, an effective governance program provides a carefully documented record of the plan fiduciaries’ efforts to manage and maintain the plan prudently in the best interests of its participants and their beneficiaries. Doing so helps all parties clearly understand and carry out their roles and responsibilities, and it helps manage their fiduciary liability. Is it time to review your plan governance program? We can help. Contact us today for a comprehensive evaluation of your governance processes and policies. 2019© 401k Marketing, LLC. All rights reserved. Proprietary and confidential. Do not copy or distribute outside original intent.